Can the U.S. and Russia tackle economic crime together? International corruption is a thorny and turbulent issue in U.S.-Russian relations. Although both countries have ratified the United Nations Anti-Corruption Convention, much remains to be done in combating economic crime and, in particular, money laundering. Russia Beyond the Headlines’ Pavel Koshkin talked to Bernard Sucher, a member of the Board of Directors at Aton Group about the ways how two countries can fight corruption together as well as the repercussions in the relationship from the case of the Bank of New York Mellon. Russia Beyond the Headlines: To what extent should both sides - the Russian and American ones - be responsible for the money laundering in the Bank of New York scandal, which involves illegal Russian assets in the U.S.? Bernard Sucher: The battle against international flows of illegal or suspicious money is quite a new thing in the world of finance. The United States has led the effort and only gradually has it won some allies. Yet, there are in fact entire countries and financial organizations that provide shelter for money with few or no questions – it’s simply a lucrative business for them. The Bank of New York (BNY) scandal involved the illegal transfer of billions of Russian assets out of the country during the turbulent 1990s. Although nine people were ultimately convicted in the illegal transfer of between $7-10 billion out of Russia, former BNY Vice President Lucy Edwards and her husband Peter Berlin pleaded guilty to money laundering charges in 2000 and confessed to accepting $1.8 million for their role in the scheme. Edwards and Berlin used BNY accounts in the name of Berlin’s company, Benex international to move billions of dollars out of Russian banks and into international bank accounts between 1995 and 1999. In 2005, BNY agreed with federal prosecutors to pay $38 million in a non-prosecution agreement to the U.S. government and other banks. This, however, was not the end of the case, as many Russians felt the vast flow of money out of Russia may have affected Russia’s economy, which collapsed in 1998. In 2008, Russia filed a lawsuit against BNY in Russian court for a whopping $22.5 billion, insisting that poor oversight at BNY facilitated the money-laundering ring. BNY settled with Russia for $14 million, just a small fraction of the initial $22.5 billion claim. Greed, however, is not the only source of resistance to anti-money laundering efforts. First, people naturally value their privacy. You can’t reduce criminal transactions without inconveniencing innocent market participants. Second, there is a structural stress, a contradiction, inherent in any enforcement regime that requires banks to be frontier militia against illegal money flows. Almost all financial organizations are marketing machines geared to constant growth. Their powerful sales forces and growing compliance functions can’t help but struggle against one another. Third, governments, too, question the legitimacy of policies that inevitably project American or Western standards into the economies of other nations. Every country has its own laws and is concerned above all with enforcing those rules, not those imposed by others. RBTH: What anti-corruption mechanism in the banking field should we use to prevent money laundering, at least between Russia and the U.S.? B.S. : You start with three fundamentals: the time-honored rule of “Know Your Client,” consistent standards, and maximum transparency. In general, bankers are trained to accept business only from counterparties whom they know well, whose business and sources of funds are demonstrably legitimate. This is “Know Your Client,” or KYC in the popular shorthand. Senior management and compliance need to hold their staff to these standards, in part by crafting incentive systems to reward the proper sign-up of new accounts and, where necessary, to punish laxity. On top of strong KYC within a given bank or system, you want to see comparable and consistent standards of KYC between systems. And with proper consideration for personal and commercial privacy, the data needs to be rendered comprehensible and visible such that compliance, senior management and regulators can efficiently review and monitor flows. RBTH: Is it possible to come up with U.S.-Russia bilateral agreement to regulate the problems of the money laundering? Or is that too idealistic? B.S. : Given the Kremlin’s deep dislike of any “extra-territorial” U.S. policy, talk of a meaningful agreement would seem far-fetched. Moreover, as a predicate, Russia’s domestic financial system would first have to reach a much higher degree of integrity and transparency. You can’t do that without active, forceful enforcement of standards that approximate international best practices. Do the most influential people in the country really see this goal as being in their interests? It does not look that way to me. RBTH: Do you think it's possible to prevent money laundering on the international level? How could we root it out? Do you believe that international and U.S. anti-corruption legislature is effective in withstanding the money laundering? How to deal with corruption? B.S. 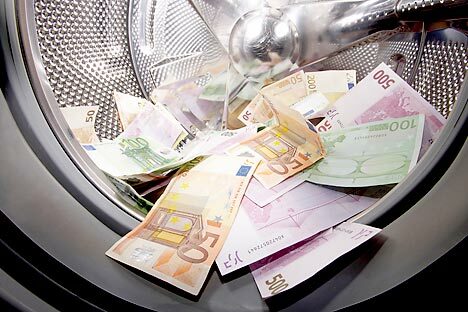 : Money laundering is like any criminal activity – you will never eliminate it. But there is no question that the business of washing illegitimate cash is more challenging in 2012 than it was in, say, 1992. A major factor in improved enforcement has been the growing acceptance within the international financial system of the fact that dirty money is the lifeblood of organized violence, whether that be narcotics or arms traffickers, religious fanatics, or rogue states with designs on nuclear weapons. It’s been a long time since the enforcement of money-laundering rules was left to bank tellers. If you are one of the bad guys, the ranks of your adversaries now include the collective national intelligence organizations of the West. Entrepreneur and banker Bernard Sucher is very familiar with the Russian business environment. In 1983, Sucher graduated from the University of Michigan with a degree in Business Administration with a concentration in Russian and Soviet Studies. Since then, he has worked in the Russian operations of many prominent banks, including Bank of American-Merrill Lynch, Troika Dialog, Alfa Capital and Goldman Sachs. Today, as a member of the Board of Directors at Aton Group, he works on strategy for Russia’s last significant independent investment bank, focusing on client acquisition, new business development, corporate culture and mentoring. He recently spoke to Russia Beyond the Headlines’ Pavel Koshkin about his career and the experience of doing business in Russia. Aton Group is the oldest independent financial group in Russia representing a wide range of products and services to private, corporate, institutional and international investors in the area of investment in Russian economy since 1991. It holds an AAA rating from the National Rating Agency. Aton provides training courses on investing in the stock market. In 2009 alone, more than 3,200 clients attended Aton courses, including our Stock Market Master Class.